During the waning minutes of a Cosmos Academy game in Texas in the spring of 2011, Aaron Dennis was substituted for by coach David Price. "I was walking off the field, I was kind of hurt," Dennis said. "I was thinking to myself, 'Wow! I'll never wear that shirt again.' "
Dennis was heading off to Villanova University. If Dennis learned anything from that moment, it was never to say never. Almost eight years later, he will be able to wear the Cosmos jersey again -- in the National Premier Soccer League and NPSL Founders Cup. Dennis, 25, said that he was "extremely excited," to sign and return to the Cosmos. "I just want to use what I've been taught the last few years and bring it to the Cosmos," he added. “Aaron's a player that I've known for a while now,” he said. “I've watched him play. He's a local kid, too. We expect a lot of out him. He's a player whose very dynamic. He can play a couple of different positions. He's dangerous with the ball, attacking, going to the goal. Can play wide, can play up top. We're going to expect a lot out of him. He's a talented player. Just loved speaking with him and obviously finding out more about his personality. He's going to bring a lot to us. I'm excited to have him. I think he'll be a big piece and a guy that we'll rely on." Dennis' soccer roots go back to when he was a toddler as his father introduced him to the sport when he was two-years-old. He played several sports, but soccer became his favorite. "I wanted to make him happy and it made me the happiest," he said. "There was nothing like scoring goals." Which he did -- for Elmont High School, the Valley Stream and Lynbrook Soccer Clubs in the Long Island Junior Soccer League, B.W. Gottschee in the Cosmopolitan Junior Soccer League, the Cosmos Academy, and Villanova University, before turning pro. It was at Gottschee and the Cosmos Academy during which Dennis grew as a player, especially under coach David Price. "He was another great guy for me, just evolved my game tremendously. We had a great team, a great staff as well." As did Jack Gaeta and Giovanni Savarese, who was academy technical director at the time. Savarese, who guided the Portland Timbers into the 2018 MLS Cup final, went onto direct the Cosmos to three North American Soccer League championships during his five-year tenure. "He would pull me aside in practices and would give me some instructions as well," Dennis said. "So, it was always good." Savarese also allowed Dennis to train with the Cosmos Under-23 squad before he kicked his first ball for Villanova in 2011. "That was my first real experience in a professional environment and being 18, being one of the younger guys, I had to stay hungry and prepared me for my freshman year," Dennis said. The 6-2, 175-lb. Dennis scored not once, but twice in his first collegiate for the Wildcats, in a 2-0 victory over Manhattan College on Aug. 26, 2011. "So, I had a lot of confidence moving forward," said Dennis, who finished his freshman season with five goals. His biggest goal, however, was recorded in the postseason, the game-winner in 1-0 triumph over Notre Dame on Nov. 3, 2011 in the Big East tournament, Villanova's first postseason win ever. He hit a sophomore slump as a sophomore and lost his starting spot as a junior before bouncing back as a senior, scoring six goals and assisting on two others He was a team captain his final two years. "It was just like any other professional or environment, the same in college," he said. "You've just got to keep working and stay hungry. I learned a lot. Definitely, an invaluable experience. I'm super-happy I went to Villanova. Met a lot of good people there." Dennis' professional career has taken him to Arizona United - now Phoenix Rising FC (USL, 2015), Miami FC (NASL, 2016-17), and Penn FC (USL, 2018). He said his most memorable pro experience was when he signed his first contract with Arizona. In fact, he scored his first pro goal there, calling it "probably the easiest goal I had scored in my life." A teammate mishit a volley and the ball bounced over the head of the goalkeeper. Dennis was in position and nodded it home with his head. "Just getting my foot in the door game gave me confidence," he said. 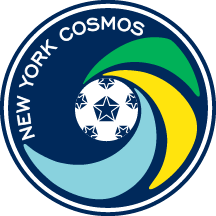 The Cosmos are expected to start their preseason in March, although Dennis' training will be interrupted by a call-up by the U.S. Virgin Islands national team. While he has Jamaican ancestry, Dennis was the only member of his family born in the Virgin Islands -- while his mother was working there for JP Morgan. While he hasn't returned to his place of birth since 1995, Dennis still was eligible to play for The Dashing Eagle team. Last year he was in a supermarket when he received a call from USVI head coach Marcelo Serrano, who also directs Austin Bold FC (United Soccer League) about joining the squad for the Concacaf Nations League, the qualifying arm for the 2019 Concacaf Gold Cup. He accepted and played in two games last year, an 8-0 loss at Canada and a 3-0 defeat at Barbados. The Canadians boasted a side with professional players who perform in Europe, Canada, and the U.S. "So obviously that game was tough," Dennis said. Dennis was named team captain prior to the Barbados match. "It was a great honor," he said. "I am looking to do more work with the country. "We were in the game," he added. "The score line did not indicate how the score went. I'm looking forward to influencing the younger generation on the island, hoping that we can get the country up and running." The USVI squad will face Anguilla on March 22. Being a team leader isn't anything new to Dennis, who also captained teams with Gottschee, Cosmos Academy, and Villanova. "The guys there respect me because I think there's only two pro players, including myself," he said of the USVI side. "So obviously I am trying to set an example, work hard, give the guys instruction. I'm more of a leader by example. I'm not really a vocal player. The guys responded well. I am excited about working with them in the future."